When you book your course and accommodation you need to pay all agreed fees in full and in advance. You also need to pay a £50 registration fee+ £20 if applying for visa. If you want to change the start of your course you must write and tell us at least 21 days before. If you don’t tell us, our cancellation policy may apply. It is your responsibility to make your visa application in plenty of time. If your visa application is refused less than 3 weeks before the start of the course, our cancellation policy may apply. If your visa application is refused more than 3 weeks before the start of your course we will give you back all of the money you paid to us, except for the £70 registration charge, when you send us your refusal letter or, in special circumstances, the original letters we gave you to support your visa application. If visa is received, the course can not be cancelled, however in special circumstances credit note may be applied. You must cancel your course in writing. If you cancel your course more than 3 weeks before the start of your course, we will give back all of the money you paid to us except for the registration fee. If you cancel your course between your start date and 3 weeks before the start of your course we will charge the cost of 1 week’s tuition + 1 week’s accommodation and a registration fee, the rest of the money will be refunded. If you cancel your course and accommodation after it started fees will not be refunded. If you book your course through an agent you need to contact the agent to get back the money you paid to him. In special circumstances it may be possible to cancel your course after you start studying. If we gave you documents to support your visa application we must tell the Home Office you have cancelled your course. 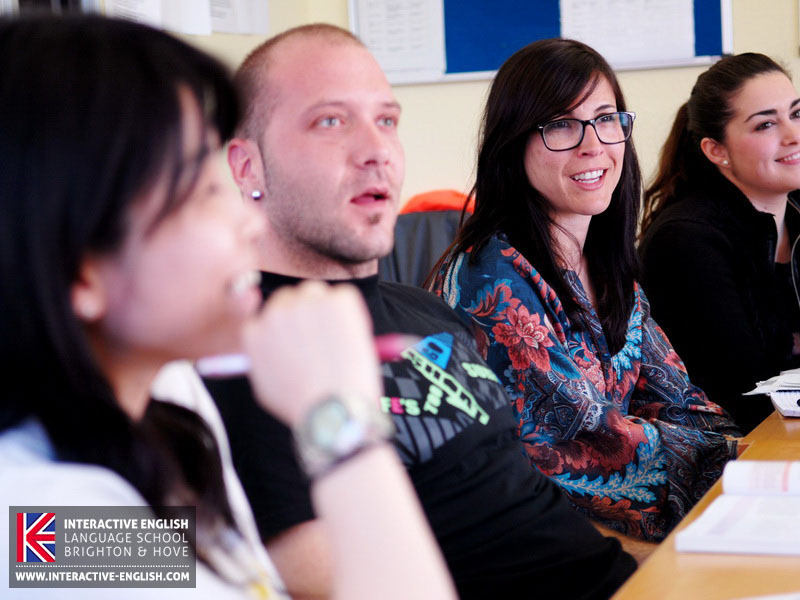 Interactive English Language School reserves the right to cancel courses without notice and will offer students a full refund or alternative course at no extra cost. 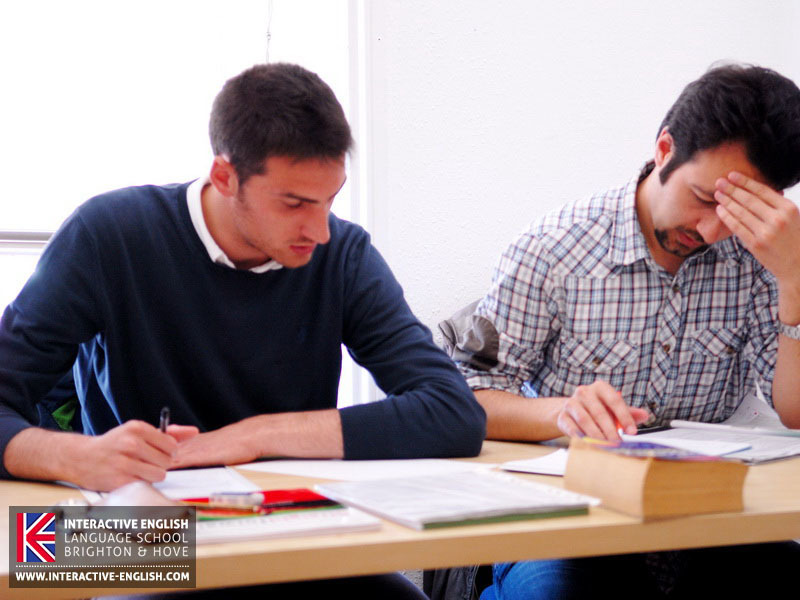 Interactive English Language School reserves the right to cancel courses of students who do not have acceptable conduct. 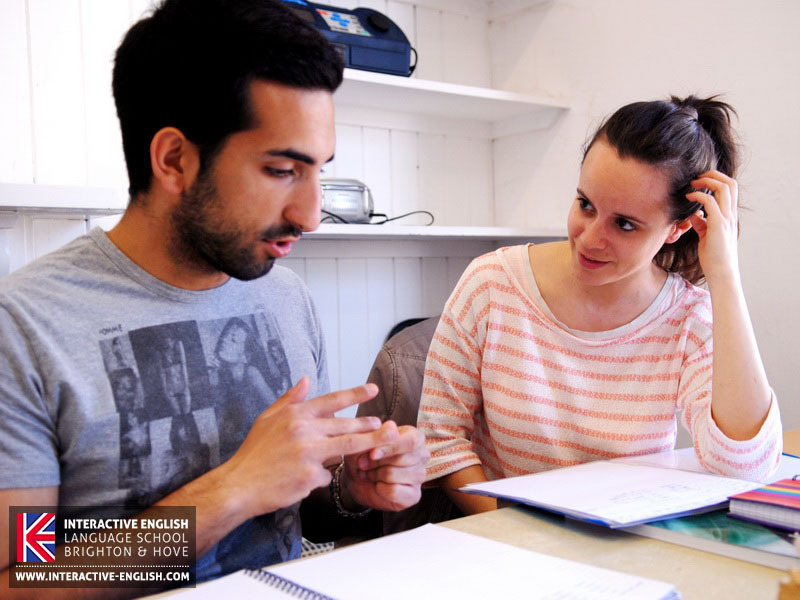 Interactive English Language School is a member of English UK, and our student have access to student emergency support fund, which aims to minimise the effects of closure when students have paid fees for language courses at English UK member centres. It ensures students can complete their learning and also covers money lost on accommodation fees. 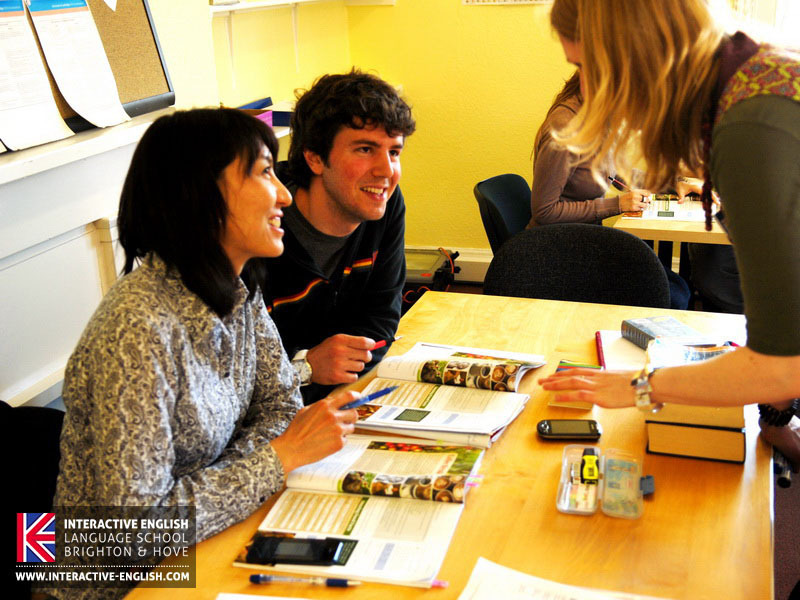 Interactive English Language School is not liable for loss of tuition or other services due to factors outside our control. Refunds will not be made under these circumstances. Course times are from 9:15 to 12:30 AM and 1:15 to 4:30 PM. The time of your course depends on your level and will be confirmed once you have done a placement test in the school. Courses have a maximum size of 15 (17 in peak times). Our average class number is 11. Beginners are not accepted. Lowest level available is elementary. We will tell you your accommodation details at least 7 days before the start of your course. Interactive English will book accommodation from Sunday to Saturday, unless arranged otherwise. It may be possible to change/cancel your accommodation if complaint is reasonable, but these situations will be assessed individually. You must give 2 weeks notice if you want to change/cancel except in special circumstances. If alternative accommodation is not available we reserve right to cancel the accommodation and do the refund of the outstanding fees. Interactive English tries not to put students with the same mother tongue together unless requested but this is not always possible. It is possible to cancel your accommodation after you have arrived, but we would need at least 2 weeks notice. If you give less than 2 weeks’ notice you will have to pay up to 2 weeks’ accommodation fee. Interactive English reserves the right to change your host family accommodation on short notice due to unforeseen circumstances. Interactive English reserves the right not to find new accommodation for students that have been disruptive in their family. Students will only receive a certificate of attendance if their attendance meets the minimum requirement of 80%. If a student does not come to at least 80% of the course, they may be reported to the UK Border Agency or refused further course. Students with attendance lower than 80% will not receive certificate of attendance at the end of their course. If a student is absent from a class without prior permission, they will be contacted by the school, and if school cannot contact the student, the school may contact the student’s host family or next of kin. If you wish to take holiday you must inform Interactive English 2 weeks before the start of your course or you will lose part of your course and will be marked ‘absent’. Students can take a maximum of 3 weeks’ holiday in a 24 week course. Holidays can be taken only for full weeks. Students on a course which is less than 8 weeks cannot take holidays. There is no refund for national holidays. Any other Holidays and authorised absences will be given at schools discretion, and all courses have to be finished within a year from the course start date. Interactive English advises students to take out health and travel insurance privately. You are also strongly advised to take out insurance against cancellation or curtailment of your course for any reason before you travel. Interactive English cannot be held liable for accidents that happen in the UK or while travelling. Transfers to and from airport must be paid in advance. It is student’s responsibility to contact school if they are delayed. Refunds cannot be given if students miss the transfer. Students are obliged to give contact details, including mobile phone number and email address. These must be correct and up to date. If contact details change we must be informed. 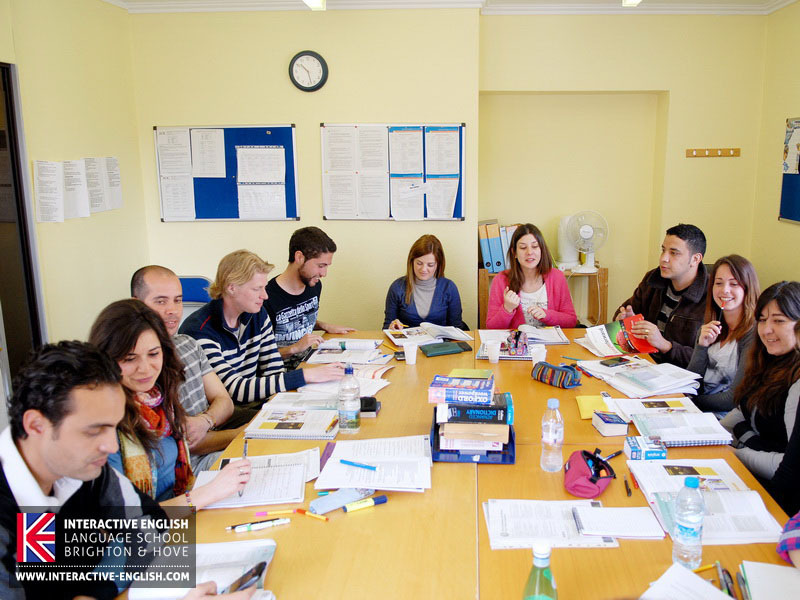 The information stored by Interactive English Language School is in accordance with the data protection act and GDPR legislation. Information and may be shared with the British Home Office for visa purposes or accreditation bodies. GDPR compliance: The aim of the GDPR is to protect all EU citizens from privacy and data breaches in an increasingly data-driven world, therefore Interactive English has applied such a measure to meet new legislation. GDPR right to access: Part of expanded rights of data subject outlined by the GDPR is the right for data subjects. We can ensure you that none of your personal details are shared with 3rd party companies and never will be. We temporarily store only your Name, Email and IP address entered at ENGLISH GRAMMAR TEST and all information entered are protected with SSL 256-bit encryption. GDPR right to be forgotten: Also known as Data Erasure is the right to be forgotten. If you wish to delete your details entered at ENGLISH GRAMMAR TEST, please contact us and we will make sure your details will be deleted from our database. We might take photographs or videos for use in our promotional marketing purposes. You must inform us in writing before the course starts if you do not allow us to use such images. All students are required to behave with respect for their classmates, the school staff, and school property. Any student who fails to do so in the eyes of the teacher may be excluded from the classroom and a complaint will be filed against him or her. Any complaints made against a student by any other student, member of staff, host family, or member of the public will be investigated; and if the school decides that action is necessary, the student may be permanently excluded from the school.